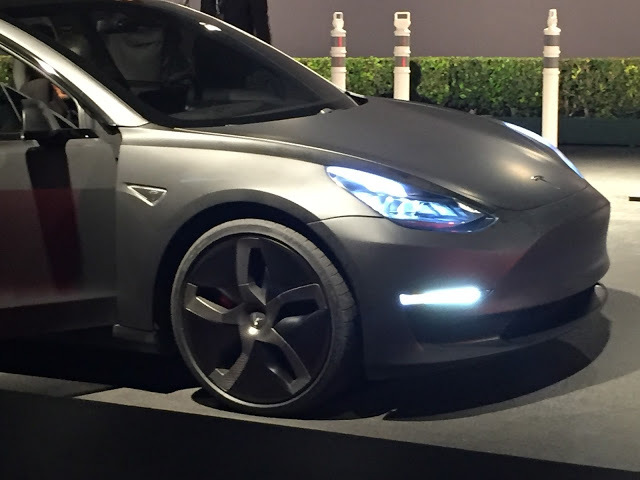 A report coming out of South Korean TV network Arirang News says that Tesla has selected Hankook Tire as the main supplier of tires for its upcoming mass-market Model 3 sedan. According to the news center, Tesla finalized its deal with Hankook Tire after the electric car maker compared various samples submitted by competing tire manufacturers from around the world. The report also indicates that Hankook will be developing a special tire designed specifically to maximize range presumably as a result of reduced rolling resistance under normal load. Tesla is no stranger when it comes to partnering with tire manufacturers to produce leading-edge tire technology for its fleet of electric vehicles. The company has even gone as far as designing a noise reducing tire technology with Continental Tire for the the Model S through the use of foam injection. The latest deal with Hankook Tire represents a critical step towards the company’s goal of securing deals with parts vendors and suppliers in order to produce what the company projects to be 100,000 to 200,000 Model 3 vehicles by the end of 2017. Tesla CEO Elon Musk had indicated during the recent Q1 earnings call that the company will hold suppliers to a near impossible date of July 1, 2017 as the deadline for completion of production ready Model 3 parts. Hankook Tire produces over 92 million tires per year and is the supplier of original equipment tires to some of the world’s leading automakers, including Daimler AG’s Mercedes-Benz, Volkswagen, BMW, and soon Tesla.